Almost everywhere you look, you see them — people toting smartphones, tablets, e-readers, and (gasp) even old-fashioned laptop computers. The early adopters in our lives might even be toting Wi-Fi-enabled cameras or wearable technology such as personal health monitors, Google Glass and other devices. These users feel best served when they can easily connect to an Internet-enabled Wi-Fi hot spot. Are you designing to serve the needs of more users of mobile technology in your library projects? I’m sure you are for new buildings, but this is also a key need for remodeling projects. Like many places (airports — I’m looking at you), many libraries have felt blindsided by increasing demand to accommodate mobile users — and taking the next step to actually be mobile-friendly. While many libraries are doing an excellent job serving users of mobile technology, others are wondering where to start. This blog is designed to highlight ways we can help users with their physical needs when using mobile devices. Equally important (though not covered here) are strategies for the library to optimize online services for mobile. Assessing a client library’s current infrastructure is important for all technology projects, including supporting mobile users. Having a clear idea of the library’s current capacity and capabilities also creates the perfect place to build from if improvements are needed. The power circuits serving the building are one of the first things to look at, especially for older libraries. Is power properly grounded? Are current circuits adequate or overloaded? Is there a need to add capacity to the interior of the building (through additional power outlets and new circuits) or to the outside (the main power transformers serving the building)? Is the power “dirty” (are there unacceptable fluctuations in the current or other consistency issues with power)? A qualified electrician can assist you in assessing the current state. 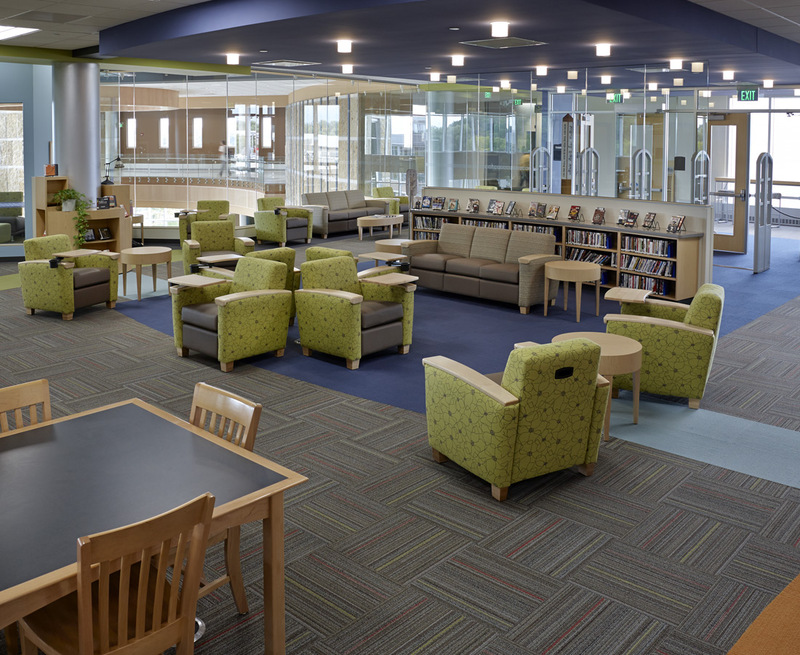 Often libraries live with power issues — it’s easy to get used to frequent occurrences such as dimming lights when the heater fan starts — but external signs such as dimming lights usually indicates a greater problem that requires attention. Although mobile devices do not require large amounts of power to recharge, having good power available is a prime consideration when serving the needs of mobile users. How is the library’s Internet connection? Although standards for adequate Internet connection speeds can be elusive, it is safe to say that despite what the library has now (even if staff and patrons are not currently experiencing any connectivity problems) it will likely need more in the future. That means the library’s Internet connection should have the ability to “scale” upwards in its capacity as demand increases. There are usually financial implications in obtaining more bandwidth, so considering technology needs (including your Internet circuit) in your budgeting process is wise. For help with tech issues such as these, the folks who help with IT support (whether the library has its own department, is part of a city or school structure, or uses partners or consultants) can assist in measuring current use and projecting what might be needed over time. Another key area of assessment is the library’s Local Area Networks, including wired (usually Ethernet) and 802.11x wireless (usually referred to as “Wi-Fi”) connections– essentially, are they fast and can they scale as well? Newer networking components are built to have the ability to grow as needed and to be easily managed. Since it can be an invisible service, not all libraries think about the equipment used to provide Wi-Fi to patrons. And although the numbers vary between manufacturers (as well as makes and models), Wi-Fi access points all have limitations on the number of users each can serve at a given time. When it comes to mobile users, it’s important to design for a Wi-Fi network that can easily grow by simply adding (relatively) inexpensive access points to serve higher densities of users when and where needed. As with other back-of-house technology needs, the folks providing the library’s technical help can assist you in assessing this area as well. Now that you’ve assessed essential infrastructure (and designed or performed any necessary improvements) it’s time to consider ways to improve the experiences for library users who are also users of mobile tech. Simple benches around a column and pull-up tables provide an excellent opportunity for power access in this children’s area. What seats do you consider the most popular in a given library? Typically the seats closest to a power outlet! Many air travelers are familiar with either the sight (or actual experience) of people sitting on a hard floor or other uncomfortable area, just to be close to a power outlet. Airports across the country are responding (so that sad scene is slowly changing) — and so are libraries as they come up with creative ways to supply power to patrons. done, but those of us who work on library projects across the country have witnessed the struggle most libraries have in providing adequate power access for patrons. 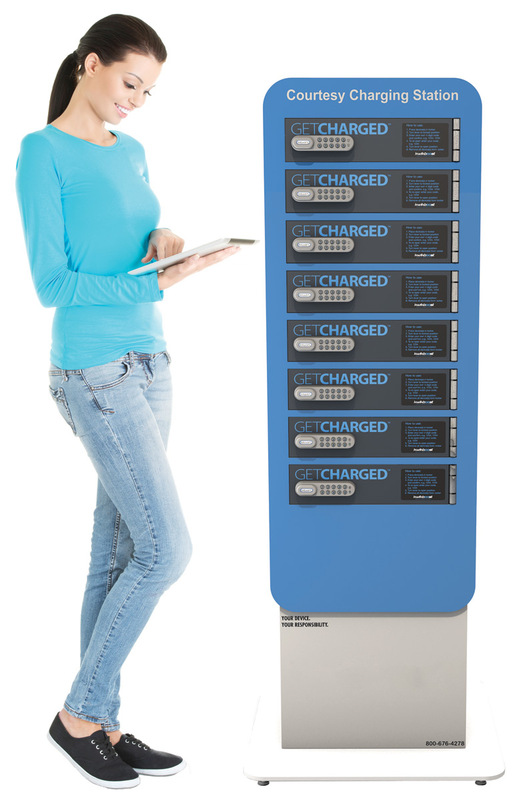 Charging lockers provide a safe place to charge devices and keep quiet spaces quiet. 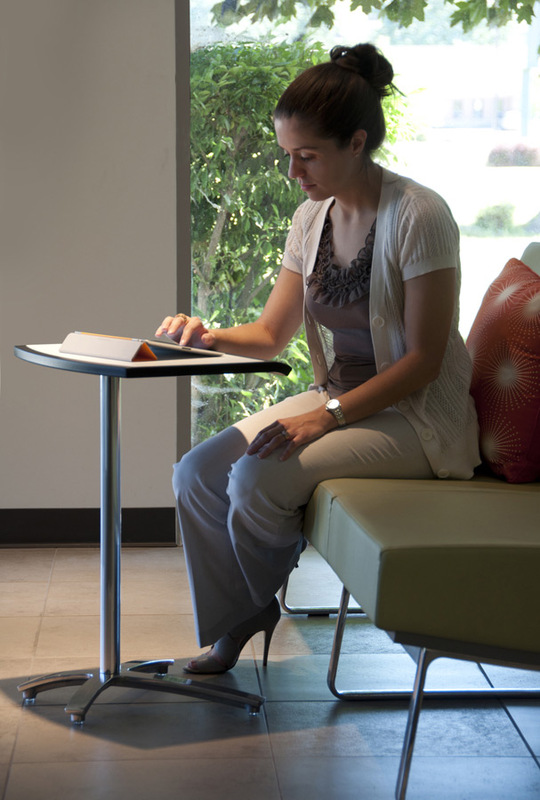 Visible surface-mounted power access points built into desks, tables and other furnishings. The best installations have the power access handy, but not competing for space with other objects such as laptops, mobile devices, physical materials and other objects. The lowly power strip — when selected or modified to match the aesthetics and mounted correctly — can be an inexpensive approach. We’ve all seen installations with poorly-mounted, cheap power strips, which should be avoided. There are excellent, sturdy and paintable (sometimes metal) options available. Probably the most troublesome aspect is the power cord, but a little research will find many options for cable management (beyond the Velcro approach) that address both safety and aesthetic concerns. Many mobile devices require only a simple cable for charging via USB. Power outlets are commonly available to retrofit into existing power boxes that include standard plugs as well as USB plugs to deliver a charge. In addition to wall outlets, these receptacles can be integrated into furniture to create even more power delivery options. Some environments lend themselves to “charging lockers” that allow patrons a private place to stash and charge their phones. In some libraries I’ve suggested these units as a way to also ensure that quiet areas of the library stay quiet from ringing mobile phones! Give Library Users a Boost! 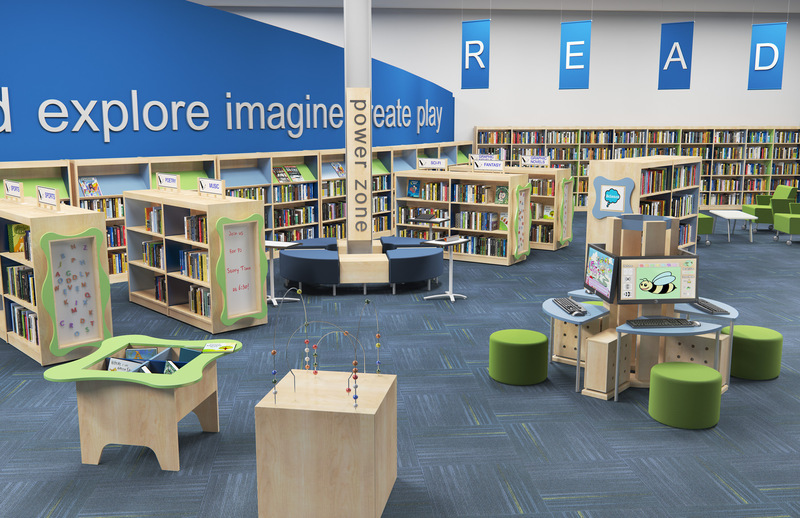 Explore powered furniture, freestanding kiosks, charging stations and multimedia tables that make getting charged up at your library easy. Are we designing or modifying our spaces with patron comfort and convenience in mind, or just trying to fit the most people in the smallest space possible? The idea of comfort goes beyond overstuffed and cushy chairs (which, of course, are wonderful) to thinking about the functional needs for each area. Areas with multiple computers are a prime area to deliver patron comfort. A traditional method — designed to make the most efficient use of space — is banks of computers that require users to sit shoulder-to-shoulder. Not only are users often cramped, but they also have little space for essential “stuff,” including materials, mobile devices (indeed — many users rely on mobile devices as well as computers when working) and personal belongings. In observing computer use in libraries, we have a number of possible needs that can be addressed through excellent design. Solo computing spaces include places for solitary work — from simple web browsing to in-depth research. As well as space for “stuff” around library-provided computers, we can also expect that a patron may bring their own mobile devices or may want to have food and drink to help sustain them through a work session. As a result, providing a larger work area is a must. Despite the fact that hardware is getting smaller in size, the size of a work area should not be reduced. In addition, comfortable and adjustable task chairs, as well as task lighting to augment general lighting should be provided at every desktop workstation. Curved computer tables with larger workspaces at the Eastern Christian School were arranged to provide ample personal space and privacy. 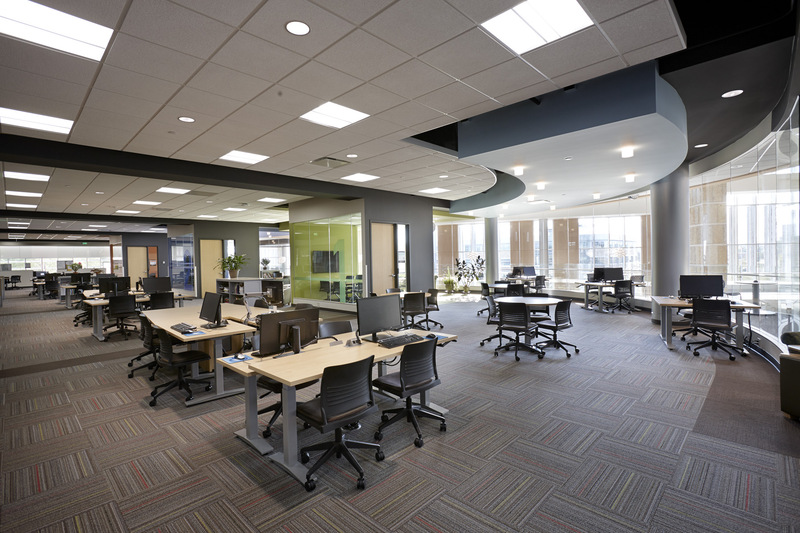 A workstation that would have typically held two desktops is fitted with one to allow more room for “stuff” or collaboration at the Madison College Truax Campus. 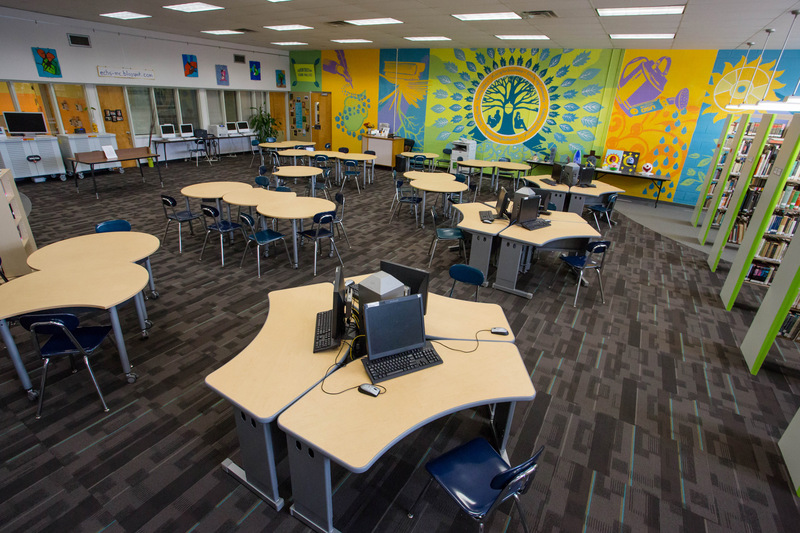 Solo computing spaces can include the “overstuffed chair” approach for patrons using their own or library-issued mobile computing devices. Lounge chairs with swivel tablet arms or portable pull-up tables are nice options. 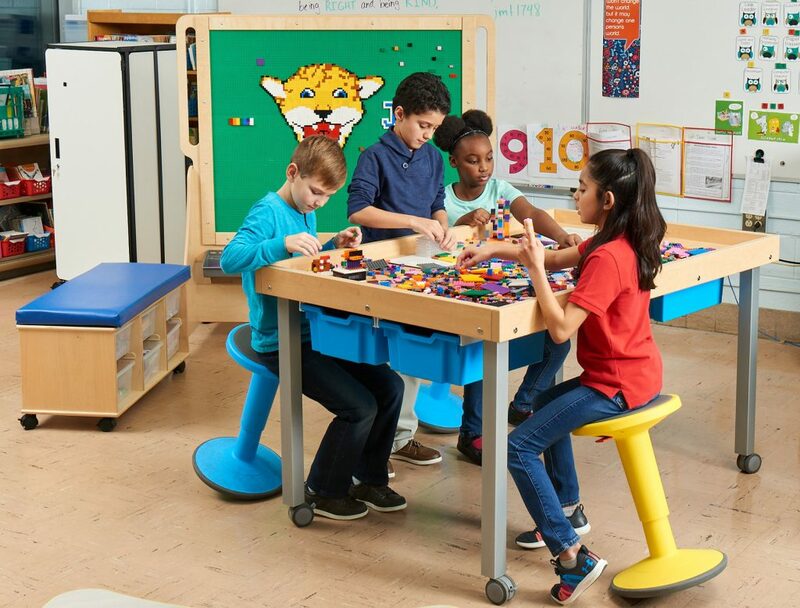 Small portable tables are becoming the preferred option since users can adjust the table location to meet their needs, unlike swivel alternatives that attach directly to the chair. Comfortable lounge chairs with either portable pull-tables or a tablet arm tables provide comfy spaces to use portable devices. 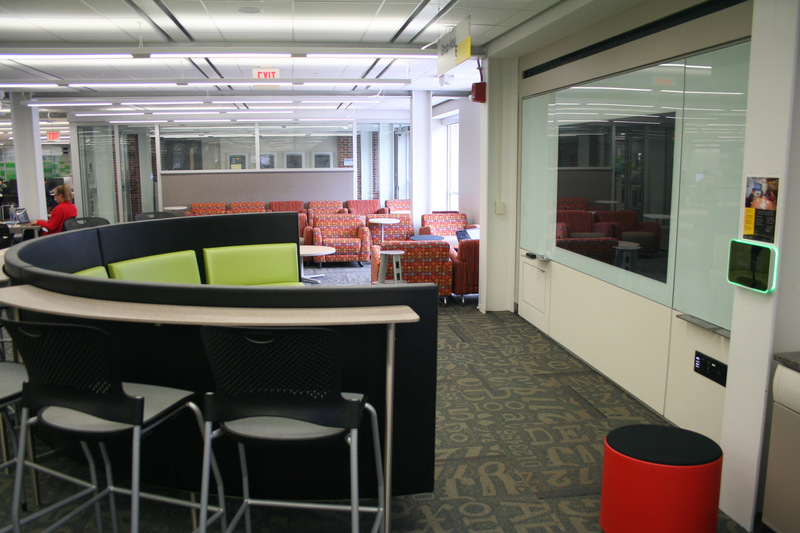 Large surface areas are necessary in collaborative computing spaces to accommodate the “stuff” of several users in addition to one or more library-supplied computers. This can be achieved with a variety of different table and seating options that can easily be reconfigured for different-sized groups. This diversity in furniture also allows each user to find the spot that that offers their own personal comfort. 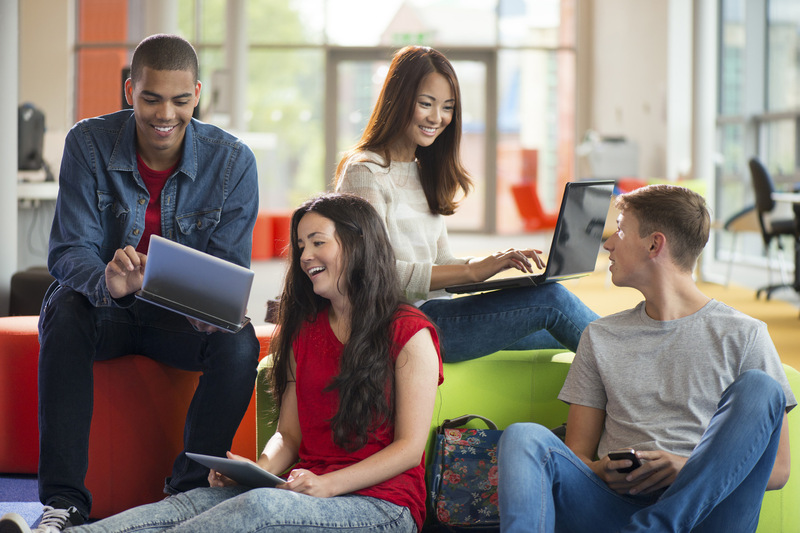 Collaborative spaces should allow for interactivity and the use of personal mobile devices by providing the ability to plug into extra LCD monitors, allowing for sharing and group work. These areas should be placed strategically to support conversation and not be in close proximity to quiet zones. 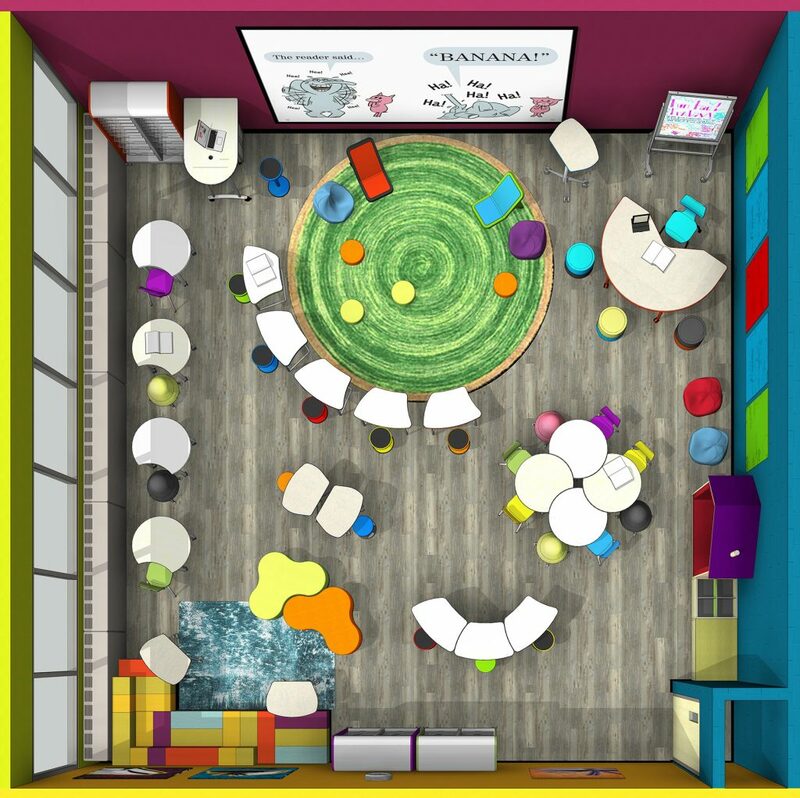 These collaborative areas should be fitted with HDMI and VGA inputs, USB charging outlets and electrical outlets. Providing access to HDMI, VGA and Ethernet cables either in the collaborative space or for checkout at the service points ensures that users will not have difficulties connecting. 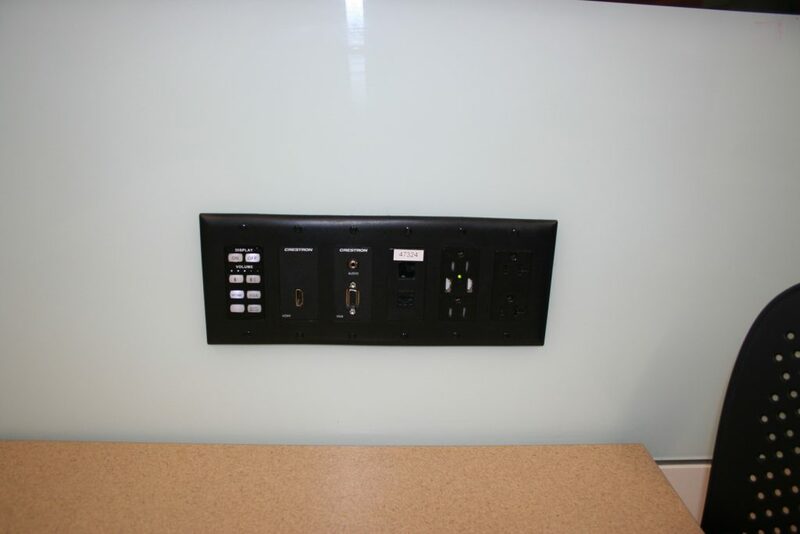 Input panel on the wall provides easy plug-in for users at the University of Iowa’s library. 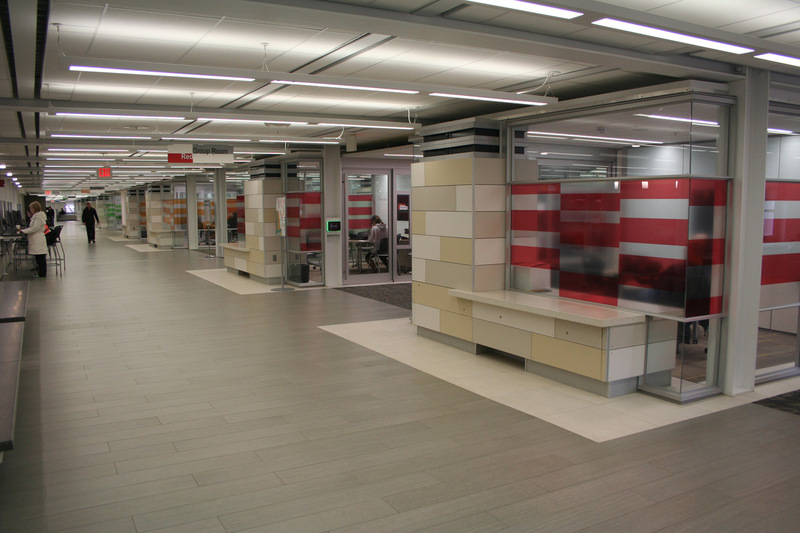 A variety of different seating options, high stools at counters and comfortable lounge chairs, allow users to find a space to best suit their own personal comfort. Large workspaces provide ample room for each user’s “stuff” and plug-in capabilities to a large LCD monitor. 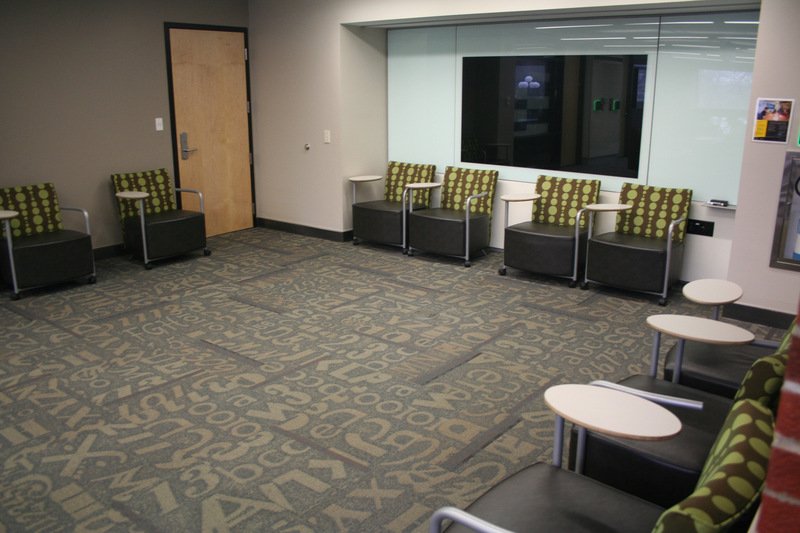 Moveable and comfortable furniture provide a non-traditional meeting environment at the University of Iowa. Meeting rooms should be planned for small and large groups and designed to allow space for movement of people. Planning variety in furniture and re-configurability of the tools in these spaces allows users to create their own optimum working environment. Large LCD monitors with wired or wireless connectors and easy access to power and video connectors (VGA and HDMI) for mobile technology are a must in these spaces. 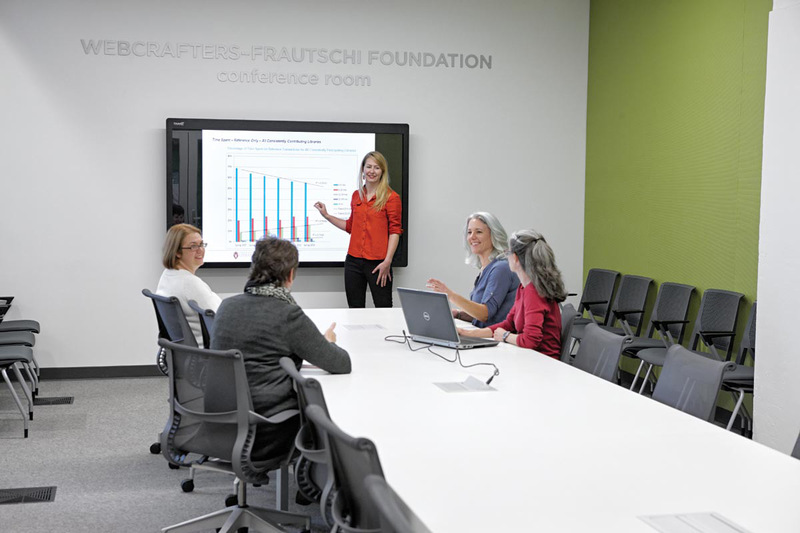 Optional features to consider in these meeting spaces are wireless video systems, the newest generations of interactive white board and audio systems for larger meeting rooms that use the data network to capture and reproduce audio instead of traditional analog wiring. In addition, digital reservation screens at each meeting room location make it easy for users to reserve meeting room space and plan their work sessions accordingly. 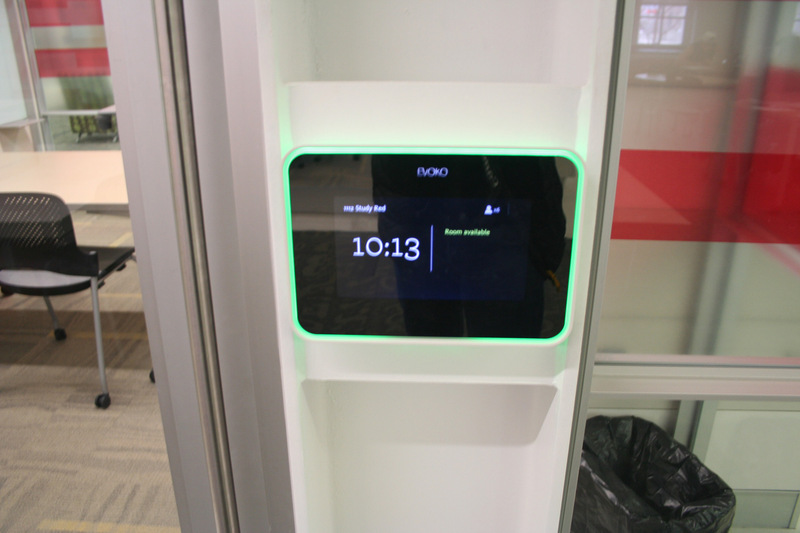 Private meeting rooms at the University of Iowa library were all equipped with digital reservations screens so users could easily track room availability. 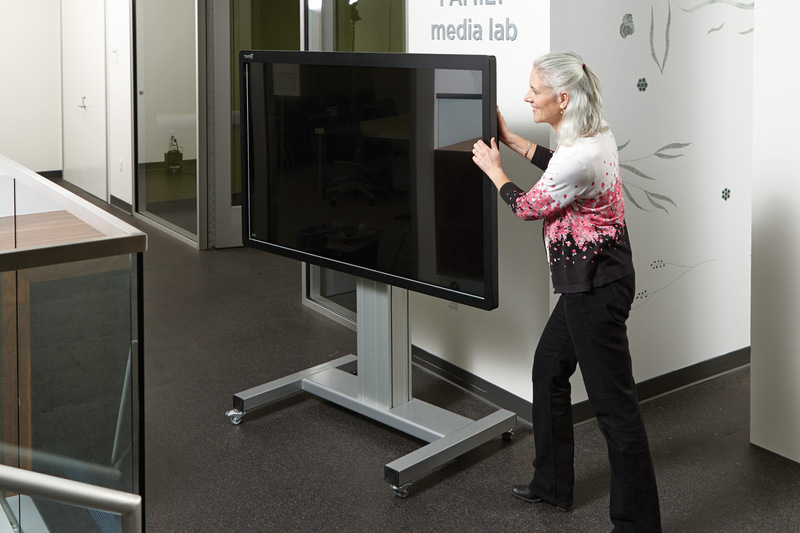 The Madison Public Library used interactive whiteboards throughout the library and in meeting rooms of all sizes. Going forward, one of the greatest emerging technology needs — and one that applies to all areas of the library — is coming from the further evolution of “BYOD” (Bring Your Own Device) where patrons and staff bring their own equipment to use with the library’s wireless access. Today, BYOD generally refers to laptop computers, tablets, e-readers and other similar devices. But those are just the beginning. As technology evolves it is essentially becoming embedded everywhere. You may have heard of “The Internet of Things” — even today, more and more “things” are becoming interconnected through small computers connected to the network. In some cases these might be devices the library uses to measure traffic flow or collect other statistics of library use. But this also applies to wearable technologies such as personal health monitors, Google Glass, cameras and other devices that capture, report and/or use data such as air temperature monitors (used to fine-tune environmental controls), remote or automated control of lighting, and more. The bottom line is that technology will undoubtedly continue to evolve as other aspects of the library have. We are continually learning to design for flexibility and adaptability without being able to see clearly what the future will bring. With these new future needs and others, yet to be imagined, the key is to remain open to new possibilities and able to scale the information system architecture (especially Wi-Fi). With this approach, as more “things” seek a connection to the Internet, the infrastructure will become increasingly key in providing library services and remaining relevant in an ever changing world. Carson Block has led, managed and supported library technology efforts for more than 20 years. His efforts at his first library position at the Loveland, Colorado Public Library (beginning in 1994) resulted in the first broadband Internet connection and public access computers for the library. Carson brings a user-centered technological perspective, with an emphasis on solutions that are both transparent and powerful, with some “gee whiz” thrown into the mix. Carson also teaches a library technology management class accredited by the American Library Association. Thanks for your inquiry! I’ll be in touch with you to make sure you get the information you need.